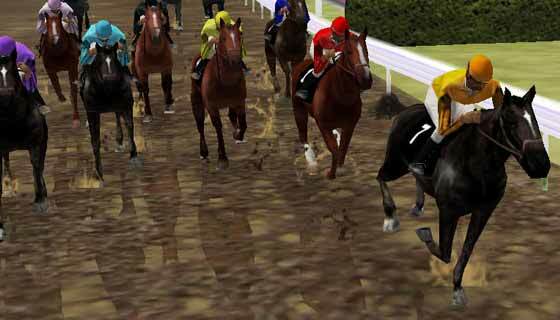 Free online horse racing games. Virtual racing excitement like you never thought possible. Play our free racing games online and take fantasy horse racing to the next level. Our virtual horse games allow you to breed, care for, and manage your horse's career. Immerse yourself in a full 3D world of online racing action. Test your game skills as you compete in an exciting world of virtual horse racing for prizes and awards. 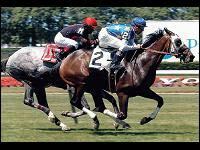 Enter the exciting world of horse racing as a breeder, trainer, or owner. 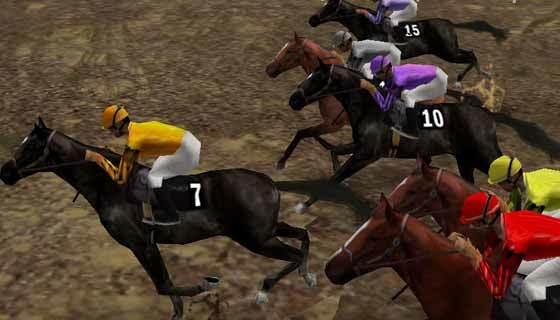 Manage the career of your virtual horses while racing against thousands of others. 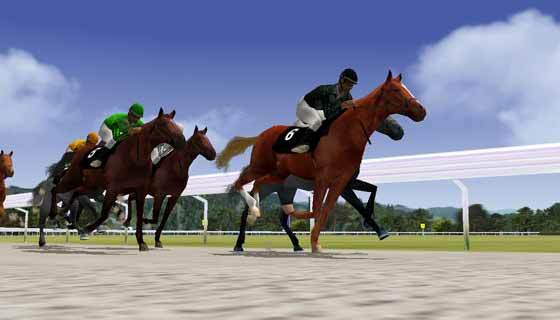 Our horse racing games provide the most realistic horse racing fun. 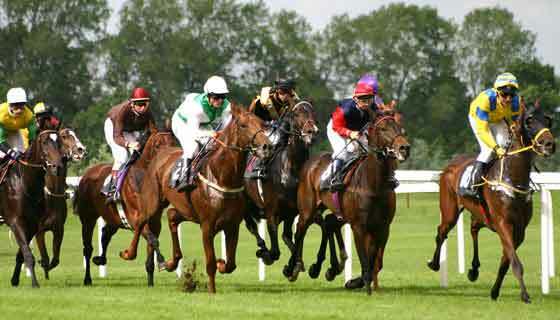 Play our horse games online for free and maximize your horse racing game experience. The BC Special Races are now available under Prizes->Special Races. The KYD, Prk, and BEL Special Races are now available under Prizes->Special Races. Effective immediately any selection guessed correctly in a horse puzzle will show as correct and will automatically lock as correct for any future guesses. Links for the new 3D viewer will becoming available today. On pages with links to the new viewer there will be 2 buttons/links to watch with either the old Unity Viewer or the new 3D Viewer. The old unity viewer will be going away at some date to be determined in the future. The new 3D Viewer requires WebGL which is part of most updated browsers such as Chrome, Firefox, Edge, IE, etc. Make sure you are using an updated version of your browser to use the new viewer. Silks have not been mapped in to the new viewer yet so all silks will be white. We will be working to map everyones silks into the new viewer. You can now schedule timed works for your horses at the track CD. Progress on the new 3D viewer has been made and the beta is still currently on track to be released before the BC Special Races. Starting in October there will be a limit of 150 horses created or claimed per stable per month. Join now! It's FREE to Play. Imagine breeding, owning, caring for, training and racing your own stable of virtual thoroughbreds while interacting in a vibrant social community with thousands of online horse game players from all over the world. 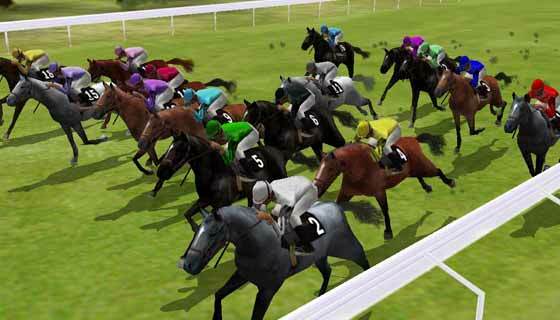 This exciting game puts you in complete control of your virtual stable and gives you a first-hand insight of what top thoroughbred owners and trainers do to prepare their horses for upcoming horse racing events. After breeding and analyzing your horse, your caring and training routine will get him ready for his racing debut. Identify and enter the correct races for your horse, assign his training routine, give your jockey racing instructions, then sit back and watch 3D horse racing at its finest. You will be on the edge of your seat cheering for your virtual thoroughbred as he turns for home and strives with an all-out effort to reach the finish line first. No other horse game can provide this level of realism. This exciting free game allows racing fans, whether novice or seasoned, to enjoy the most realistic, heart-pounding, exciting gaming experience. Players compete for top honors and awards in our free online horse game. Will your horses have what it takes to earn top racing honors with you as breeder, owner, and trainer? Click the Play Now button to start building your stable of champions. Smokin' Joe Talamo (Top Jockey and TV Celebrity) - "Being 20, I know all about games. Not only do you guys make the best horse racing games, I think ,simply put, you make the best games! Anyone who plays will become addicted to any one of your games." Jacob - "Just started getting into horse racing and stumbled across your website. I play skill games and strategy games all the time. Yours are a blast! Tony - "Love your virtual simulations of upcoming stake races. I've been using your program now for about a year. You've helped me find real hidden betting value in some big races." Kimberly - "I'm not even a big horse racing fan, but I love horses and I love games and yours are a lot of fun."